These are my talks, papers and articles freely available to read online — I’ll add to them as new items become available. Some documents may take a few minutes to download. ‘Because She’s Worth It: The Natural Blonde from Grace Kelly to Nicole Kidman‘, Celebrity Studies, special issue on Blondes, November 2015. ISSN (print) 1939-2397; (online) 1939-2400. ‘Picturing Natacha Rambova: Design and Celebrity Performance in the 1920s’, Screening the Past 40, special dossier on Women and the Silent Screen (WSSVII 2013 conference), 15 September 2015. ISSN 1328-9756. ‘Text, Paratext and Subtext: Reading Mildred Pierce as Maternal Melodrama’, SEQUENCE: Serial Studies in Media, Film and Music, 2.2, 2015. 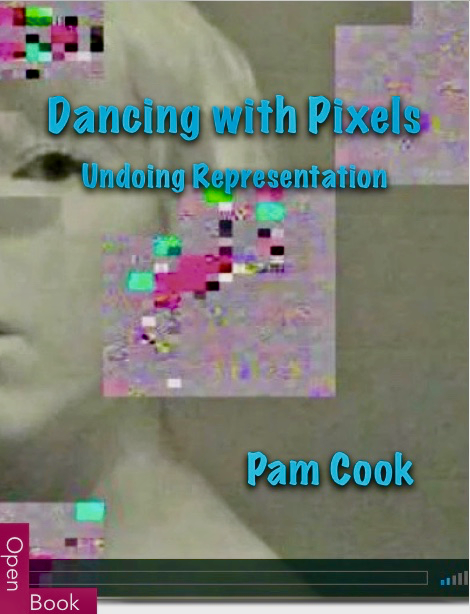 ‘Dancing with Pixels: Digital Artefacts, Memory and the Beauty of Loss’, The Cine-Files 7, Fall 2014. Special issue on the video essay. ‘Close Encounters of the Open Kind: Open Source Academia’, In Media Res, 3 December 2014. ‘Word vs. Image: Making Mildred’s Kiss (2013)’, Reframe: The Audiovisual Essay: Practice and Theory in Videographic Film and Moving Image Studies, September 2014. Online open access journal. ‘Labours of love: in praise of fan websites’, Frames 1 (1), July 2012. Open access online journal of moving image studies. ‘Why does Nicole Kidman undress in the opening shot of ‘Eyes Wide Shut’?, fashion>film 23 March 2012. ‘Transnational utopias: Baz Luhrmann and Australian cinema’, Transnational Cinemas 1 (1), 2010, pp. 23-36. No copyright infringement is intended. Please contact me if you believe your copyright has been infringed — it will be put right immediately.